PRESALES HAVE ENDED. BUT TICKETS ARE STILL AVAILABLE AT THE DOOR. HOPE TO SEE YOU AT THE SHOW! 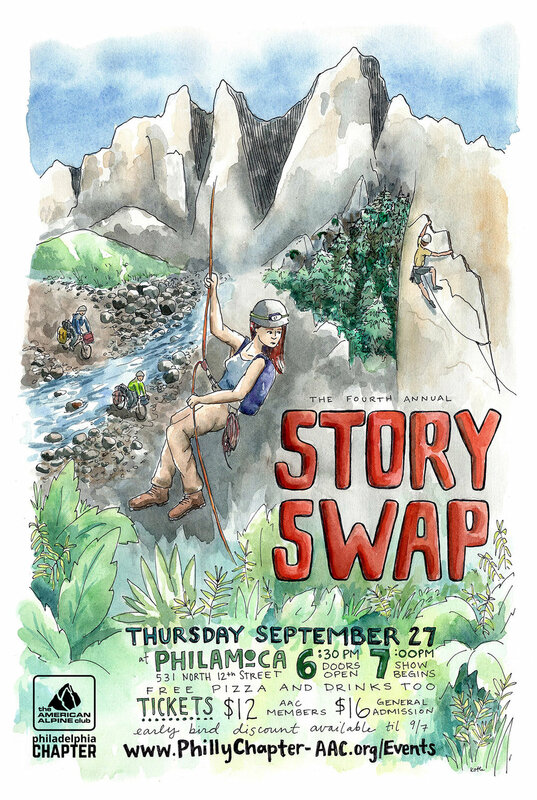 Join us for a night of inspiration, grit and misadventure, as told by fellow Philly climbers! We have assembled a panel of 6 presenters, who will each tell a short story and share photos from a recent trip. Free pizza and beer will be provided.